Wondering how this site supports itself? The first thing I’d like you to know is that destinationweddingdetails.com is completely free for you to use and it always will be. 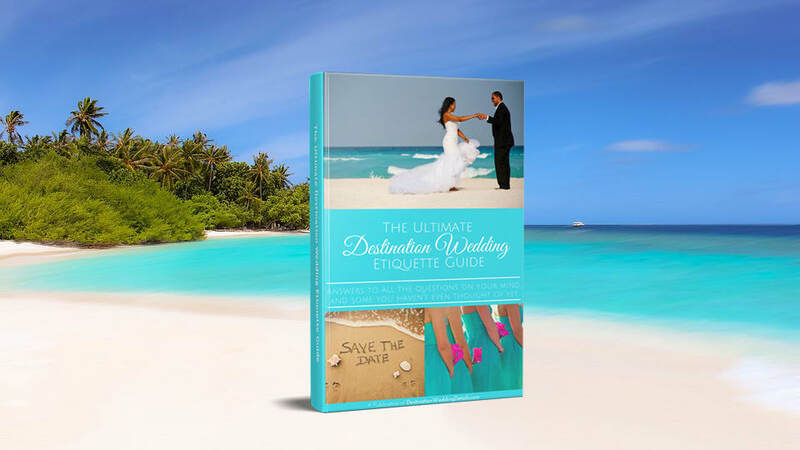 Everything you find on this website is here only because, based on my research, I wholeheartedly believe it’s the very best information, product or service available to help you plan your dream destination wedding. I have very high quality standards and will only recommend products I believe in and would use myself. No one can pay to have any editorial content put on destinationweddingdetails.com for a product or service I do not believe in. I am passionate about destination weddings and it’s very exciting for me to wake up every day and produce content free of charge that will help couples everywhere plan their dream destination weddings. In order to cover the costs of maintaining this site, we accept advertising and other forms of compensation, such as affiliate commissions. How do affiliate partnerships work? When you click on certain links throughout the site and purchase products or services, I will sometimes receive a small referral commission. However, this commission does not in any way influence the information I provide, and you will not pay more when you purchase an item through my links. I always provide honest opinions and recommendations based on my research. I refuse to recommend any product I don’t believe in, regardless of the potential to earn commission. Your wedding is too important for me to recommend a product or service I wouldn’t use myself. In many cases, I was already linking to a product well before the affiliate partnership was in place, in which case the commission is just a nice plus for something I already believe in. The content would be exactly the same with or without, the link or ad. Your support in purchasing through these affiliate links does enable me to keep this website running, do research and provide you with valuable information and recommendations. It’s a win-win-win for all involved. This is not only my business but my passion and I pride myself in it, so if at any time, you find that we have suggested an undeserving product or service, please contact me immediately via the Contact us Form. I hope you enjoy the site content, photos, ideas and products I’ve researched. Best of luck with your destination wedding, and most importantly a happy marriage that lasts a lifetime!